"This is my daughter, Laura, eating her first meal at the birthing center, just a few minutes after she was born. 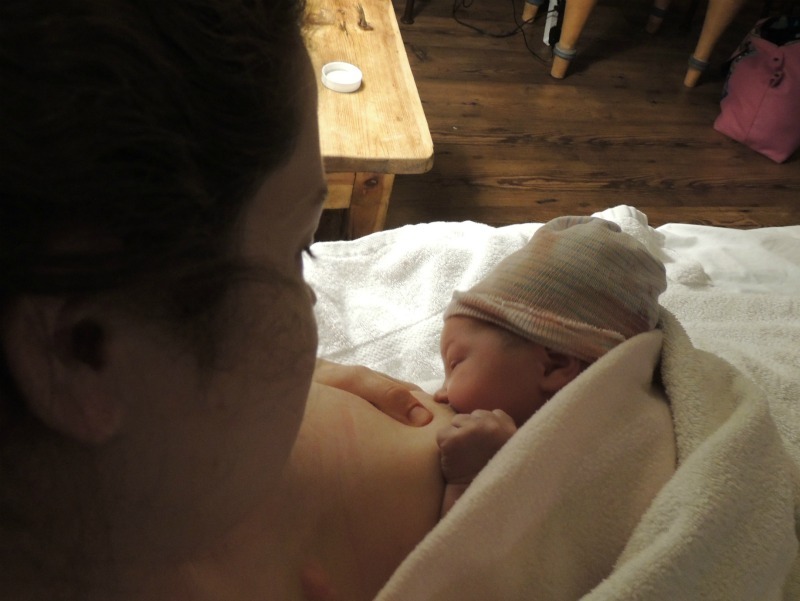 We were able to be skin-to-skin for several hours after the birth, and it was so wonderful. She's almost three months old now, still nursing like a champ! Thanks for doing this series of posts. I loved seeing the pictures while I was pregnant, and even more so now that I'm a nursing momma. :)"